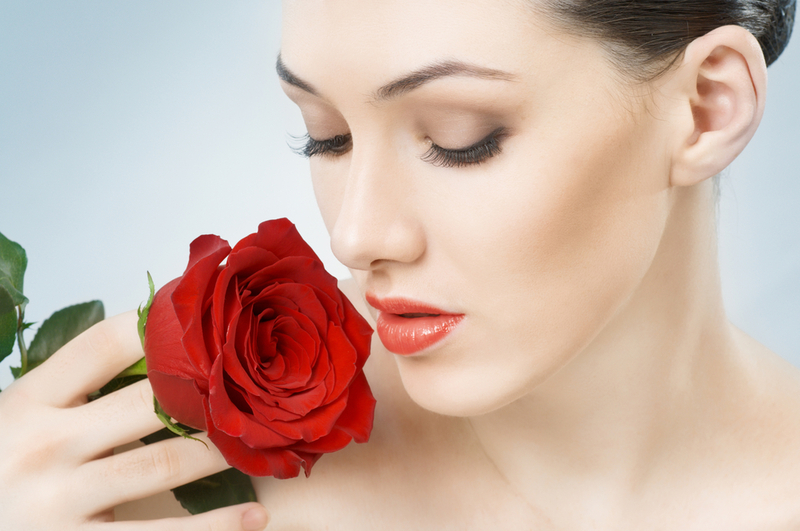 Look your best this Valentine's Day Valentine Beauty Must-Haves! You don’t have to wait for February 14th to feel beautiful. 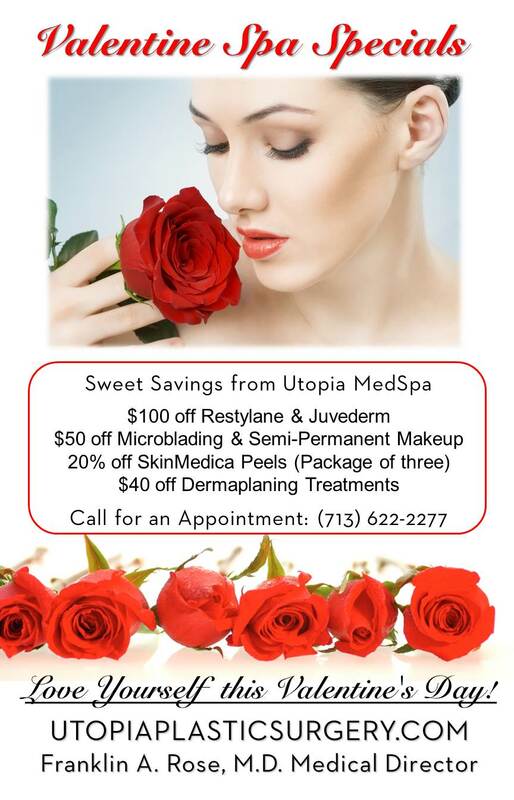 Call us today at 713.622.2277 to indulge in these sweet specials from Dr. Franklin Rose & Utopia Plastic Surgery and Medical Spa. KISSABLE CHEEKS: Fuller, youthful cheeks that ask to be kissed! Specifically created to restore lost facial volume in the cheeks & cheekbones, Restylane Lyft gives you a natural look and feel, with long-lasting results. *Use one syringe for subtle cheek highlights or 2 syringes for more noticeable, higher cheekbones! 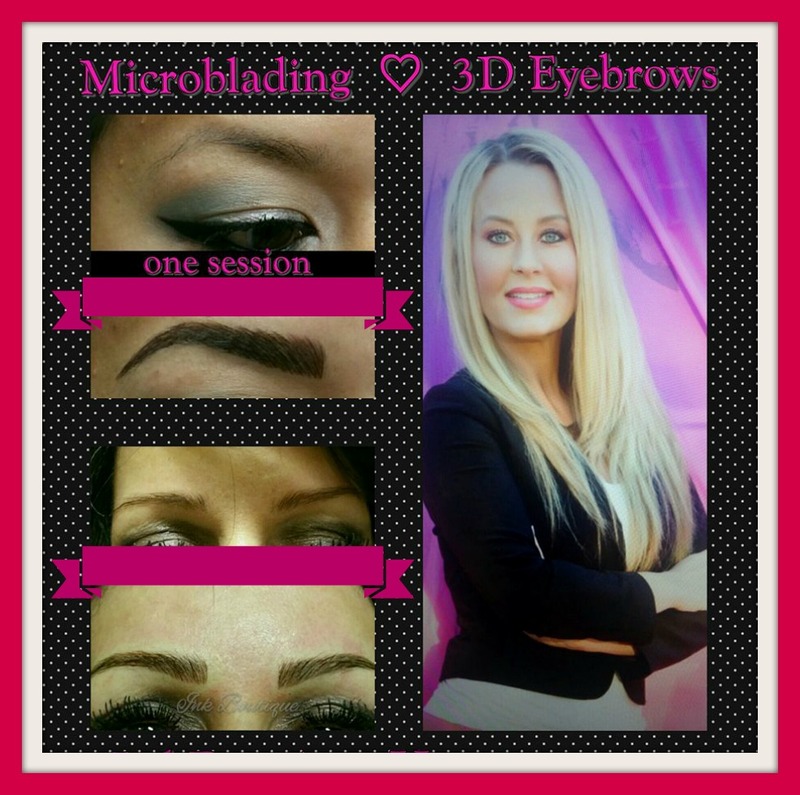 SEMI-PERMANENT MAKEUP & MICROBLADING: The ultimate for smudge-proof, effortless beauty, Sherah can create a number of beautiful effects from the subtle to the dramatic – natural hair stroke brows to set shape and eliminate eyebrow over plucking and gaps, defined eyes, shapely lip contour and more. LOVE YOUR SKIN: Improve the appearance of fine lines, wrinkles and the overall tone and texture of skin- Treat yourself to 20% off the purchase of three Vitalize & Rejuvenize Peels from SkinMedica. 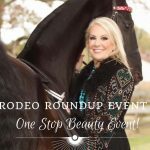 Reverse winter damage and let Lauren help you look & feel fresh for spring! Normally priced at $150 – $250, Skinmedica Peels diminish signs of aging by gently removing old skin cells, aiding in cell renewal; leaving you with younger, healthier looking skin. For best results three peels are recommended to restore your skin’s natural glow. -AND- PERFECT YOUR SKIN FOR YOUR PERFECT DATE NIGHT: Dermaplaning is not only for removal of hair on the face, its main benefit is exfoliation. Along with minimizing the appearance of fine lines & wrinkles, dermaplaning increases skincare product absorption, and makes your makeup application smoother and easier! 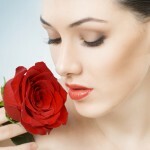 Utopia MedSpa Gift Certificates make great Valentines!